High quality is what Kuenzi Turf & Nursery strives for and we are taking another step in producing top quality sod for our customers. How? 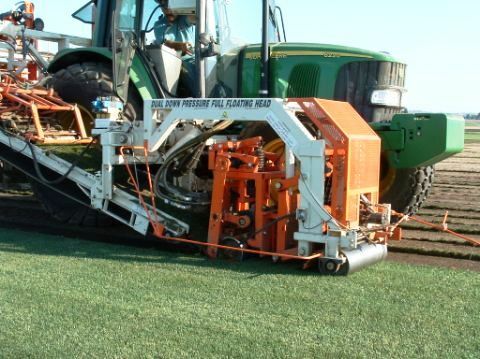 By using an automatic sod harvester that is highly mechanized and precise to harvest our sod is the source to delivering consistent quality to our customers. Our new automatic sod harvester. 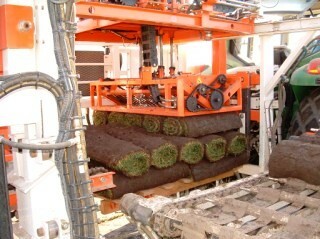 A new cutting head applies down pressure to the sod and cuts a more consistent roll. 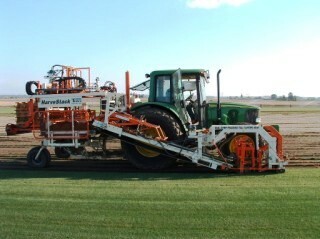 The new harvester cuts a roll that is 24″ x 60″, which is laying smoother in the landscape. 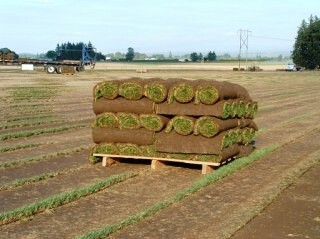 This sod is rolled more gently providing less unroll time! Pallets are now stacked by this highly mechanized machine that precisely stacks the pallets every time. 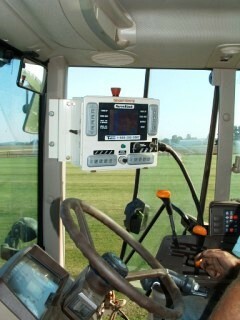 Computerized equipment is now operating the functions of the harvester to allow only one man to operate this machine. Allowing us to watch our costs as wages, equipment, fuel and other costs continue to increase. Then we deliver to our customers a consistent quality that they can depend on. This is only done by the determination of a company and their employees that strive for only the best quality.